Solid Hardwood. Reversible. Bull Nosed Edge. 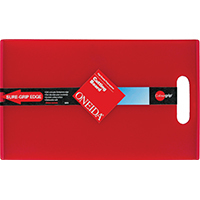 PREP & SLICE Cutting Board/Utility Tray Combo MULTI-USE CLEAN FOOD PREP & CARRY SYSTEM � BAR-B-Q FOOD PREP Use bottom tray to season or marinate steaks, chops, seafood, chicken, etc. 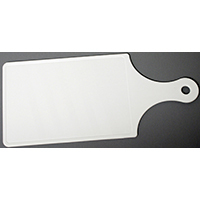 Use top cutting board to slice and dice meat, seafood and veggies or shape and season burgers. 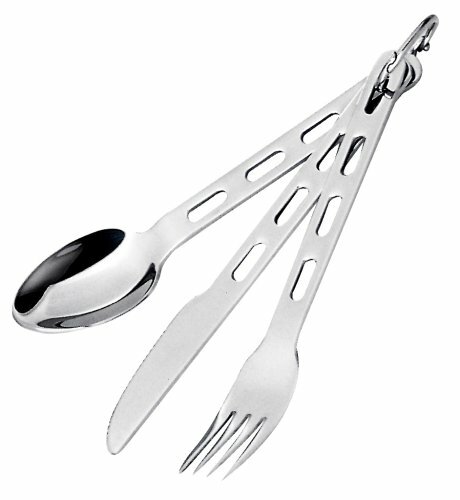 Easily carry your seasoned feast right to the Bar-B-Q. 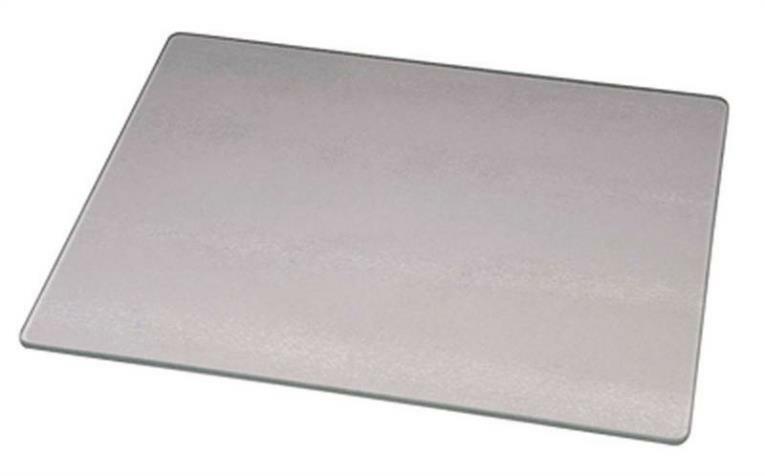 After cooking, place food on cutting board, flipped clean side up, or in trap. 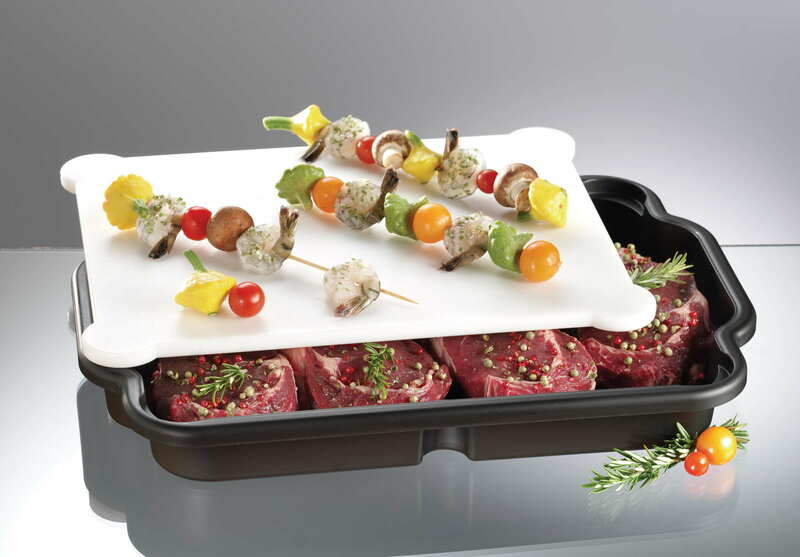 Slice meat as desired on cutting board as juices drip into bottom tray, keeping countertops clean. 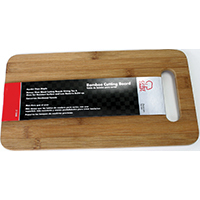 � EVERYDAY KITCHEN USE Perfect for all everyday cutting board tasks with no countertop mess. Use one side for meat, the other for veggies. Peel, cut and chop fruit, veggies, etc. , while pushing unwanted peelings out of the way through open slots at each end. 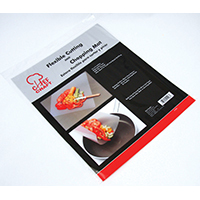 Also carve and slice holiday turkey, ham, roasts and more. 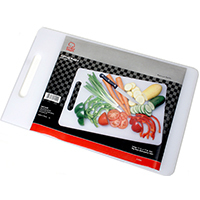 Tray and cutting board are made of durable polypropylene and is completly dishwasher safe. Measures 18�"" x 13�"" x 2"" Color box. Opening your wine shouldnt be a battle! This compact and functional chrome foil cutter features sharp 4-sided cutting action and makes it easy to neatly remove the foil from your wine bottles. Save your energy for trying not to drink the whole bottle, we know you will need the strength! Opening your wine shouldnt feel like solving a Rubix Cube! Bella Vitas compact and functional red chrome foil cutter features sharp 4-sided cutting action and makes it easy to neatly remove the foil from your wine bottles. Save your mental strength for trying not to drink the whole bottle! Cheese cutting board gift set. 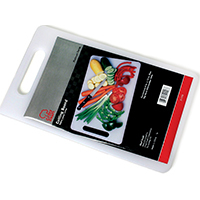 Boxed set includes 1 tempered glass cutting board 7x6 inches, 4 cheese knives. Bamboo is taking the culinary by storm. Have you made the switch yet? Not only is this wood sustainable and renewable, it's anti-microbial, and, most importantly, it's great quality! 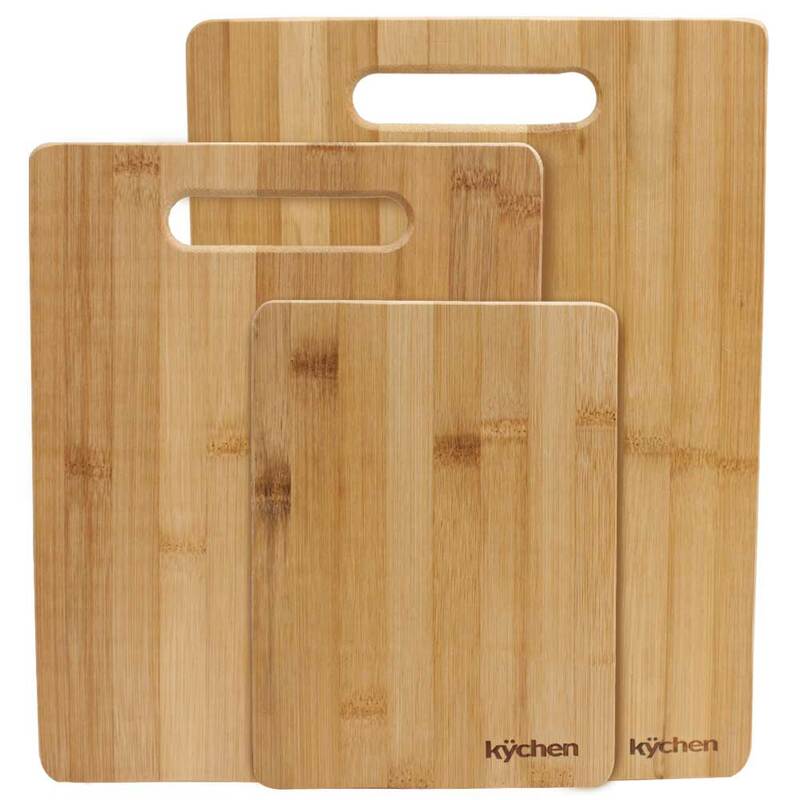 This is a set of lightweight, hardy bamboo cutting boards in three convenient sizes: 13" x 9.5", 11" x 8.5", and 8" x 6". The handles measure about 4" long and .75" wide, and the boards are 3/8" thick. 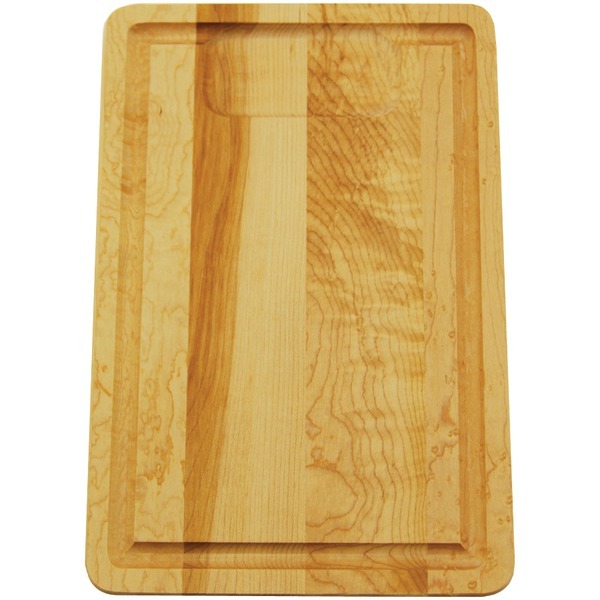 Unlike nearly every other cutting board surface used today, bamboo is a wood that is both hard and dense. 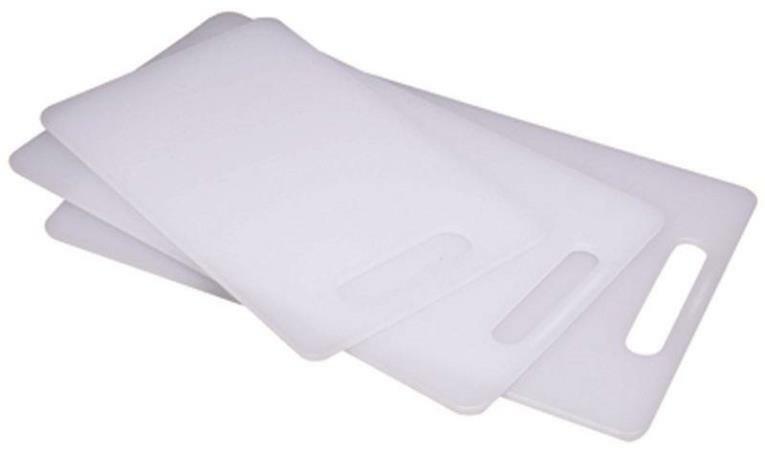 The outstanding hardness resists knife scars and tough food stains, and the high density resists water absorption. This pristine, dry wood surface that bamboo provides cuts down on bacteria's ability to grow and on warping and cracking. It's nearly maintenance free, and will maintain for years with just a simple wash and wipe dry. Bamboo is a grass! Hardy in a wide variety of environments and growing conditions, the wood is fully mature and ready to harvest within 3-6 years. Compare this with maple wood, which can take over 30 years to mature, and it's plain to see how this quick growth cycle makes bamboo one of the most sustainable and Earth-friendly wood choices out there. Hand wash with warm water and a mild detergent. Wipe dry. Do not clean in the dishwasher. 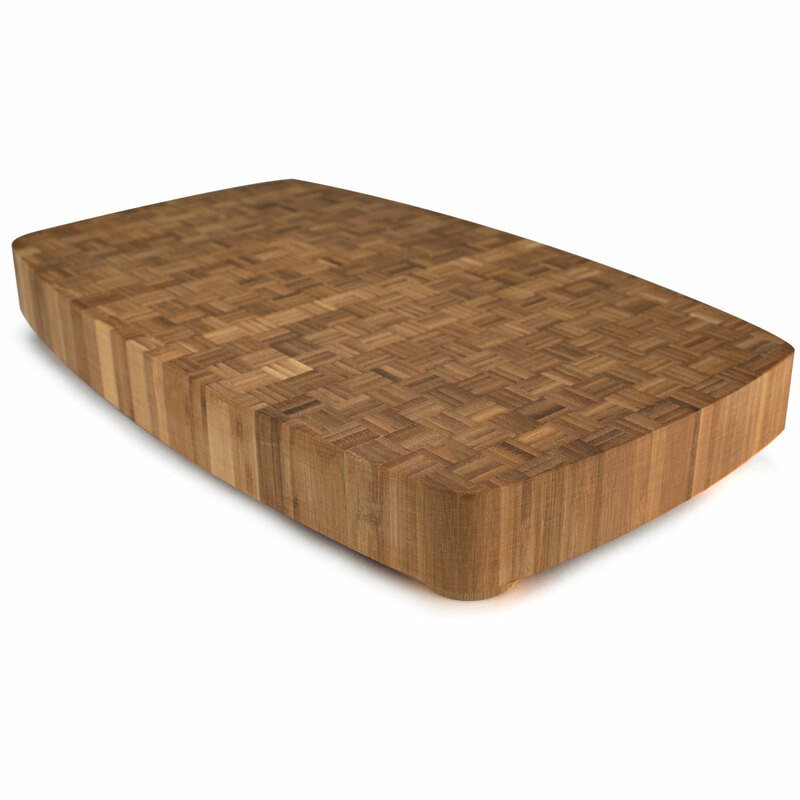 Thick, durable, spacious, and elegant, thick butcher block is just as ideal for preparing food as it is for serving it. Measures 19.5" long, 11.75" wide, and is 2" thick. Hand wash with warm water and a mild detergent. Wipe dry. Do not clean in the dishwasher. Treat and condition dryness with mineral oil.